Implement Android technology in the classroom. Successfully integrate Android Tablets into the daily lessons. Android devices are quickly becoming among the most innovative and exciting technology based teaching tools to become widely available in years. Many schools across the country have purchased Android tablets for their students, however comprehensive and essential device training to properly utilize the full power of these new tablets and their best educational apps is not available. 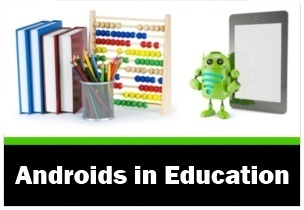 Our Androids in Education online course provides invaluable, targeted step-by-step instruction and practical exercises on how to use and implement Android systems and their educational apps into the classroom. Not only does this online show teachers how to use Android tablets, you will learn how to create lessons and curriculum units using the Android tablet. This online course will help you successfully introduce the Android tablet into the classroom as an educational tool and give you the confidence to become a 21st Century educator. Android devices, the systems, and how they work in a classroom setting. How to incorporate Android into your daily lesson plans, curriculum, and thematic units. How to use Android for assessment. What can the Android based classroom look like. Implementing Android tablets into the classroom. Setting up your Android for use in the classroom. Design a curriculum unit using an Android tablet. Our Androids in Education course – much like our iPads in Education course – is different to any other as it not only provides instruction on apps and how to use them; it demonstrates how using Android devices and its educational apps can be implemented into the Core Standards; and then links the Core Standards to classroom content through opportunities for practical lesson design and assessment. When you take Androids in Education with the University of North Dakota you can qualify for CEU university credits upon completion. Discover the Android works and also uncover hidden uses of Android tablets. Incorporate mobile technology into your daily lesson plans. Develop the concept of what an Android classroom can look like. How to incorporate Bloom’s Digital Taxonomy’s learning objectives into your lesson outline using the Android and Android apps. Practical links, ideas and suggestions for how you can create your own Android classroom. To develop an understanding of the Core Standards and develop strategies for integrating these standards into all classroom planning including and especially using the Android as a teaching tool. Links to the Core Standards and how The Standards should be considered when creating lesson content using Androids and apps. How using the Android in the classroom can meet these goals. Using Androids for Flip Teaching. Androids and the curriculum – English – Reading. Androids and the curriculum – English – Writing, and Speaking and Listening. Androids and the curriculum – Math. Why are we using mobile technology in schools in the first place? Why use Android tablets in the classroom? What to consider before you deploy mobile technology into your school and classrooms? Ways to use the Android tablet. Android core list for setting up your classroom. Develop an understanding as to why you would use mobile technology in the classroom. Develop an educational foundation from which to develop a mobile technology program within the school and classroom. Develop ways to use the Android in the classroom. Build a foundation of core of Android apps to start an Android program for your classroom. How to personalize your settings on your Android. Security issues on the Android and security tips. Methods of organizing apps on the Android tablet. Can you use ‘Cloud’ storage? Developing a mobile device policy. Develop an awareness of the settings icon on the Android and learn how to use settings to childproof the Android in school arenas. Learn how to make the Android more secure and child friendly. Understand the importance of creating a mobile technology policy for the school and classroom. 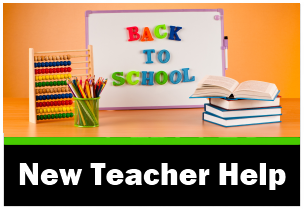 Have the skills and knowledge to write a mobile technology policy for your classroom. Teachers will learn how to organize their Android apps into folders and understand why it is important for classroom organization. To understand how the ‘Cloud’ technology works and why the Cloud is important to classroom management of mobile devices. What to do if you have a problem with your apps. Why use photos in classroom lessons? Android apps that can use photos. Learn how to search for apps that are suitable for classroom needs. How to fix problems that occur with apps. How to take screenshots on the Android tablet and how teachers can use screenshots for record keeping and assessment. How to transfer photos onto your mobile device and to your PC or other device. Develop an understanding of why using photos in lessons can be valuable and ideas on how to use photos in lessons. Gain awareness on the types of apps that utilize photos. Ideas on how to use photos within lessons. The Android and Flip Teaching. Using QR Codes for Flip Teaching. Screencasting using the Android and the link to Flip Teaching. To comprehend what Flip Teaching is and why the Android is an effective tool for this style of teaching. 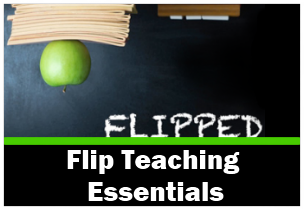 To gain an appreciation for why you would use flip teaching in a 21st Century classroom. To have knowledge of the types of apps that can be used for flip teaching, using the Android device. To have some an understanding of how to use these apps to develop a flip teaching lesson. Why is mobile technology so effective? What does the Android classroom look like? How does this affect student learning?Bloom’s Digital Taxonomy. An understanding of why mobile devices are effective in the classroom and why they are beneficial for students. The student’s perspective on tablets…. Why do kids like them? An understanding of Bloom’s Digital Taxonomy and a direct correlation to the Android and app practice in the classroom. Practical links, ideas and suggestions for how you can create your own mobile technology based classroom. How can the Common Core State Standards and The Standards can be reflected utilizing the tablet within classroom activities for K-12 classes. College and Career Readiness Anchor Standards for Reading. Develop an understanding of the Core Standards and develop strategies for integrating these standards into all classroom planning including and especially using the Android tablet as a teaching tool. Links to the Core Standards and how The Standards should be considered when considering lesson content using Android tablet and Android apps. How using the Android tablet in the classroom can meet these goals. College and Career Readiness Anchor Standards for Reading and the types of apps that can be utilized to develop these standards. Understand what the 3 strands of the Literacy Core Standards are and how they interrelate to become the English Core Standards. Android apps that can be utilized in each writing area. How to create English lessons that reflect the standards using the tablet. College and Career Readiness Anchor Standards for Speaking and Listening. Teachers to understand The Standards for Writing and what students should be able to do by the end of each grade and how using the Android tablet can assist in meeting College and Career Readiness Anchor Standards for Writing. Be aware of the types of apps that can be utilized to develop these Standards for Writing. Teachers to understand The Standards for Speaking and Listening and what students should be able to do by the end of each grade and how using the Android tablet can assist in meeting College and Career Readiness Anchor Standards for Speaking and Listening. To be aware of the types of apps that can be utilized to develop these standards for Speaking and Listening. The opportunity to create writing lessons using mobile technology and apps ensuring The Standards are the basis for the lesson content. To be able to develop lesson outlines with The Standards as the foundation for all curriculum planning. Overview of the ‘practices’ as stated in The Standards. How to create Math lessons that reflect the standards using the Android. To have an awareness of the expectations of ‘practices and proficiencies’ in the Mathematics Standards and what types of Android apps can be used to demonstrate the qualities required in each section. To be exposed to a range of Android Math apps from P-12. To be able to take any of the ‘practices’ within the Core Standards for Mathematics and be able to create a Math lesson using any Math Android app. To understand and develop your own understanding of how The Standards will affect and improve your teaching, and whether the Android tablet and the many math apps will add to this understanding. To be able to develop math lessons/curriculum using the Android and Android apps being mindful of The Standards. Android apps for Speaking and Listening. Develop an understanding of why Reading, Writing, and Speaking and Listening apps are important in the Literacy program. To be aware of what kinds of classroom experiences can be provided using Android apps in all three areas. To be exposed to a range of apps that can be used in the reading, writing, and speaking and listening program for all ages. Have experience in creating lesson content integrating Android apps. To think about how using the Android and apps from the student’s perspective. Middle School to High School Math apps. Learn and identify key points in mathematics according The Standards. Become aware of the types of apps that exemplify The Standards as they encompass one or more of the key points. Be exposed to how to use the Android apps with direct links to YouTube videos that provide reviews or explanations on how to use specific apps. 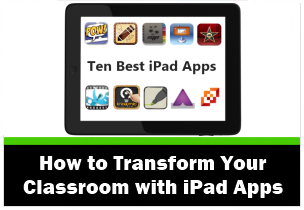 Be provided with opportunities to use the apps to create lesson or curriculum ideas. To be able to observe what other schools have achieved using mobile technology in their classroom with direct links to websites, blogs and YouTube videos. To experience a range of apps in other curriculum areas such as History, Geography, Science, Art and Music. To gain an understanding of the ‘agile space’ and how this relates to mobile technology and the curriculum. To be exposed to how to use Android apps in other curriculum areas with direct links to YouTube videos that provide reviews or explanations on how to use these apps. To gain knowledge about apps that can be used across many curriculum areas. To explore apps that can be used by the teacher in the classroom as a testing and quiz tool. Provides an opportunity to design lesson content in other curriculum areas utilizing the Android and Android apps. To understand what it means to be digitally creative and reflect on how to evolve and improve one’s individual teaching methods and experiences. Suggestions for purchasing Android apps. Some things to consider when evaluating and or purchasing an app. Checklist for apps and how effective they are in the classroom. Learn how to search and choose apps for your specific classroom needs. Understand the importance of evaluating apps for classroom use. Gain a profile of the types of apps especially sought after by educators. To practice completing an evaluation pro forma for assessing Android apps as to the benefit for use in lessons.